Writing worthless checks is one of the most common theft-related offenses in Florida. The crime happens when someone, in an effort to obtain services or goods, issues a check with the knowledge there are not enough funds in his or her bank account to cover the transaction. 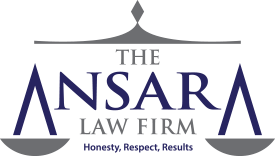 Theft defense lawyers at The Ansara Law Firm recognize that while F.S. 832.05(2)(a) is generally referred to as the “worthless check” law, it encompasses other actions that involve orders to pay money and “commercial paper.” It could pertain to money orders, debit cards and other drafts for payment. The law also prohibits cashing or depositing any item with the intention to defraud. Depending on the amount endorsed in that check, penalties for conviction could range from probation to several years in prison. When is Writing a Worthless Check a Crime? Let’s start with what a worthless check IS NOT. The statute does not criminalize the mere action of writing a check when there aren’t enough funds in your bank account. This is important because if it were the case, there would be a lot more people in jail right now. The key here is proving the accused had knowledge there were insufficient funds in his or her account at the time of the action. This element of knowledge has to be met. A person who makes, draws, utters or delivers a bad check or other payment order that is later refused by the bank for insufficient funds will automatically have to contend with a prima facie assumption that he or she knew the funds were insufficient or they had an intent to defraud. This creates a rebuttable presumption defendant was aware he or she didn’t have enough money to cover the requested payment. In other words, once it’s an established fact that a bad check was written, the burden of proof shifts from the prosecutor to the defendant. Rather than making it the prosecutor’s job to prove defendant was aware of the lack of funds, it’s up to defendant to prove he or she didn’t know and that it was an honest mistake. Within 15 days of receiving notice of the bad, worthless or bounced check. It should be noted that while this window of time is granted in some circumstances to allow correction by those who made an honest error, payment alone isn’t necessarily a defense to this charge. In fact, the law is very clear that payment of the dishonored check, bill of exchange, draft or debit card is NOT A DEFENSE, nor is it grounds for dismissal of the charge. That said, prosecutors in Fort Lauderdale worthless check cases are typically concerned primarily with victim restitution. If the evidence against you is substantial and repayment can be initiated prior to trial, it’s possible the prosecutor may agree to a diversion program rather than a prison term. It’s important, however, to have an experienced criminal defense lawyer on your side during negotiations because otherwise, the plea bargain may be no bargain at all. Not aware the check would bounce/ was worthless. The criminal statute requires the act was done “knowingly.” There are many people who, for whatever reason, occasionally don’t properly balance their checkbooks. That’s not a crime if it’s an honest mistake. Person/ business accepting the check knew or should have known there were insufficient funds to cover the check the moment it was accepted. For example, if defendant asked person to hold or delay deposit of the check for a brief period, that could create sufficient reason to raise the defense he or she should have known there was not enough money in the account to honor the payment. Postdating checks. If a person postdates a check and that is accepted by the person or retailer, that could be a valid defense. There are many situations in which the charges can be resolved without ending in a conviction. Because of the wide-reaching negative impact a criminal conviction for a fraud or theft-related offense can have on one’s life, it’s important for anyone accused of such crimes to seek immediate legal counsel.